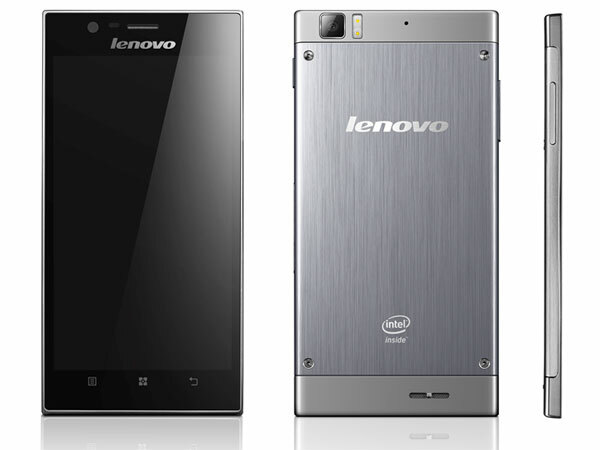 Lenovo's big-screen K900 smartphone is one of the first to integrate Intel's first dual-core Atom chip for phones. And includes an impressive camera too. By smartphone standards, the K900 has a massive 5.5-inch screen 1080p IPS display. So, no better time to tap Intel's new chip to manhandle all the pixels in that giant display. The Atom Z2580 roughly doubles the central processing unit (CPU) performance of Intel's single-core Medfield processor used in Lenovo's K800 phone. The new Atom silicon also boasts an improved graphics chip. A few more deets on Intel's Z2580: it's a 32-nanometer chip, so it does not use the 22-nanometer 3D chip tech seen in Intel's Ivy Bridge PC processors. That 22-nanometer phone chip will come later this year, Intel's Erik Reid told CNET today. In addition to the spanking new Intel chip, other K900 goodies include 2GB of RAM, up to 16GB of NAND flash storage, a 2MP front-facing camera with a wide viewing angle, and a 13-megapixel F1.8 lens camera with dual flash. And that camera alone may make it a contender. The K900's camera takes 13-megapixel pictures using a Sony CMOS Exmor BSI sensor. That could yield image quality on par with stand-alone digital camera.